The settlement that distanced the Russian oligarch from his power company has favourable aspects, the New York Times says. Certain provisions could even limit the financial hit from U.S. sanctions still in place against him. The overall outcome is, however, still pretty painful. Russian aluminium tycoon Oleg Deripaska arrives for the talks of Russian President Vladimir Putin with South Korean President Moon Jae-in at the Kremlin in Moscow, Russia June 22, 2018. A binding confidential document showed a deal to remove Rusal and En+ from the U.S. Treasury sanctions list contained some provisions favourable to Oleg Deripaska, the sanctioned businessman ceding control of the aluminium giant and its holding company under the agreement, the New York Times reported on Jan. 21. The newspaper said the deal meant Deripaska was freed from hundreds of millions of dollars in debt to Russian bank VTB while leaving him and his allies with majority ownership of his most important company, En+. The U.S. Treasury said on Dec. 19, 2018 that it would lift sanctions on aluminium giant Rusal, its parent company En+, and another firm tied to Deripaska. It had imposed sanctions on 12 businessmen, including Deripaska and their assets, on April 6, 2018. 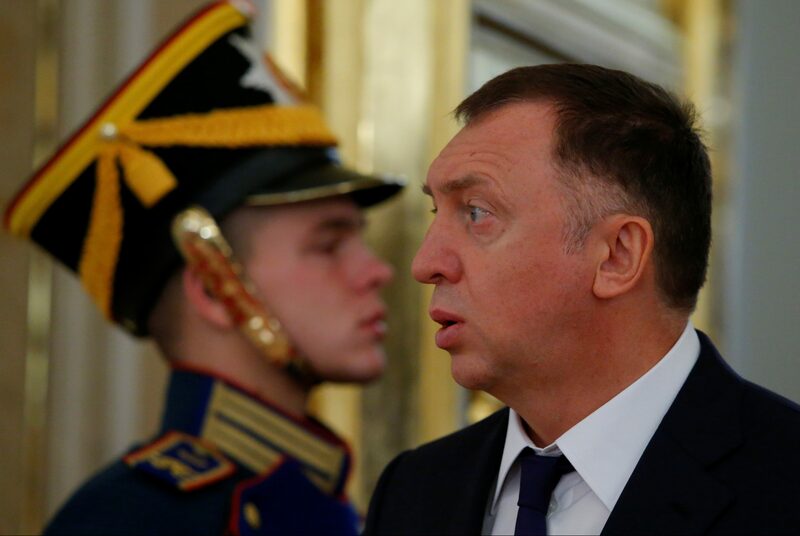 Deripaska himself will remain under sanctions imposed on him in April, the Treasury said on Dec. 19. Trading in En+ global depositary receipts on the London Stock Exchange was suspended in May 2018 while those trading in Moscow fell as much as 65 percent after sanctions were imposed. Rusal, which is listed in Hong Kong, remains 40 percent below its pre-sanctions price as of Jan. 22.